Merle Haggard was born into a dirt poor family which, at one point, lived in a "renovated" railroad boxcar. His father died when he was 9-years old and he spent his youth as a "small-time criminal" (theft, armed robbery, truancy, shoplifting, writing bad checks, etc.) before landing a room in San Quentin State Prison for a burglary conviction. Haggard was seemingly expert at escaping from the institutions which had housed him previously, but he spent three years at the Big House - including time in solitary confinement. After he was paroled (in 1960), the 23-year old Haggard started working for his brother, digging ditches, and successfully pursued a music career. Just as [Johnny] Cash’s music doesn’t hold a candle to Haggard’s, so the drama of Haggard’s life is more compelling and significant. One incident says much: In a television appearance with Haggard, Cash recalled one of his trademark prison concerts in San Quentin. Haggard remarked that he’d been there for the concert. When Cash noted that he didn’t recall Haggard being on the bill that day, Haggard replied, “I was in the audience, Johnny.” His is a classic American story of sin and redemption, filled with cinematic scenes and accompanied, of course, by a world-class soundtrack. Yeah, it really did. Well, you can imagine yourself, you know, you got this tail hanging on you, and suddenly you don’t have it anymore. It’s just wonderful not to have to walk up and say, “Pardon me, before I do this, I want to tell you that I’m an ex-convict.” You have to do that with any sort of legal transaction, with leaving the country, with anything of that nature. All those things went away when Ronald Reagan was kind enough to look at my case and give me a pardon. 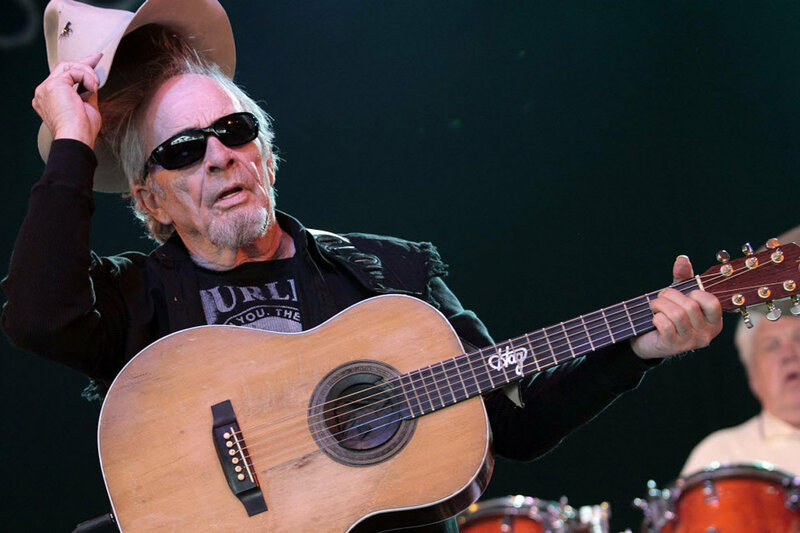 Haggard went on to become a member of the Country Music Hall of Fame and one of the most influential figures in popular music. And he also performed for Reagan, as President of the United States, had dinner with the President and took advantage of the chance to thank him personally for the pardon. Interestingly, Haggard had previously performed at the White House for Richard Nixon - just three days after Nixon had urged Congress to attack crime "without pity." Reagan called the pardon "routine." It simply came "up through the system." R.I.P. Merle Haggard. Here's to routine pardons! May there be many, many more.